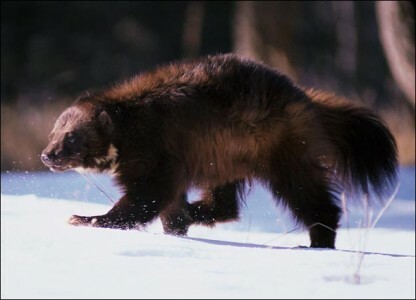 Wolverines, a member of the weasel family, are sought after by trappers for their fur. With wolverines having reputations of being aggressive and dangerous, they are also rare and some conservationists believe they could be the next animal to be added to the endangered species list. “Conservationists filed suit in October seeking to end trapping and snaring of wolverines in the only one of the lower 48 states that permits licensed harvesting of the elusive carnivore, estimated to number fewer than 300 in the Northern Rockies and Cascades. Even though Montana has a quota of only five wolverines to be harvested per season, conservationists argue that is still too much. The judge enforced the temporary restraining order on Friday, November 30th, and “the two sides” will meet at a hearing in January to decide what the future holds for wolverine in Montana. The U.S. Fish and Wildlife Service is expected to announce whether wolverines will be considered a threatened or endangered species within the next few months. Click here for full Thomson Reuters News & Insight article.